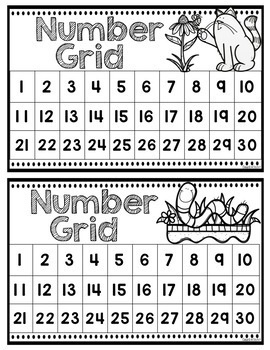 Practice counting by ones and fives to 30, 50 and 100 with these cute spring themed number grids and practice counting activities. Perfect for math lessons, small group, calendar time, peer work, guided math, math centers, enrichment or even independent review. 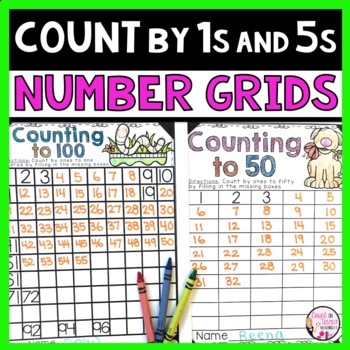 Use these number grids to practice counting orally as a group, writing numbers independently, skip counting, adding/subtracting or looking for patterns in numbers. 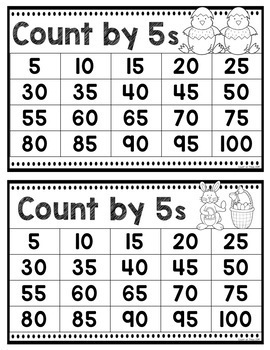 This Counting by Ones and Fives Number Grid Resource contains a total of 12 pages. Because that’s what we teach our kids to do - Look before you leap - here are some sample pages for you to check out. Just mosey on over to that green “Preview” button and get yourself a look! Use these teaching tools often enough and you might just find yourself with a math lover on your hands! 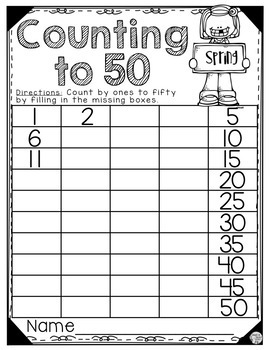 Which is just a fun way of sayin’ - you might want check out my other multiplication activity packets. Especially if you want to make yourself some math lovers! Followers are the First to hear about new products! Followers often get Fifty percent of on the First Day! Not kidding. Followers inspire me to do more!